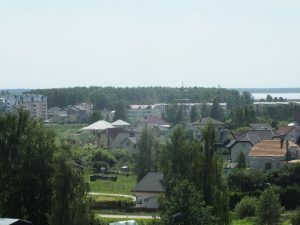 A grant from the state-owned development financial institution ALTUM for multi-apartment residential building renovations in Salaspils, Latvia, is a success story about active residents and the support of their local municipality, which sets an important precedent for public mobilisation and participation. The total cost of the project will be more than EUR 1.5 million, of which EUR 722 000 is a graft from ALTUM as part of the European Regional Development Fund (ERDF), an important part of the EU budget for central and eastern European countries. Another EUR 578 000 comes from Swedbank in the form of a co-funded loan on the ALTUM guarantee. 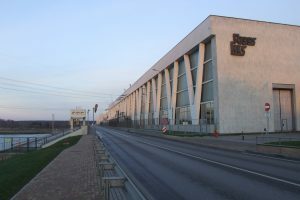 This typical Soviet housing unit was built in 1971 in Salaspils, not far from Riga,for the workers participating in the construction of the Riga hydroelectric power station on the Daugava river. The five storey building has 120 apartments. Olga has been living here since the building was built and has witnessed the changes that the structure has gone through over the years. Her initially passive and uninterested neighbours needed a push to organise themselves and press the company managing the building to take steps and plan renovations. The company brushed the requests off, blaming the current financial situation and its subsequent lack of savings. So residents took a lead and established their own association to take over the management of the building. Soon, the renovation works took off, at first supplied only by people’s own funding. However, the building required much more extensive renovations. A solid audit of the technical conditions and underground geotechnical research revealed expanding cracks in the façade: the house was splitting and needed an urgent fix. The energy efficiency program initiated by ALTUM in 2016 was essential. 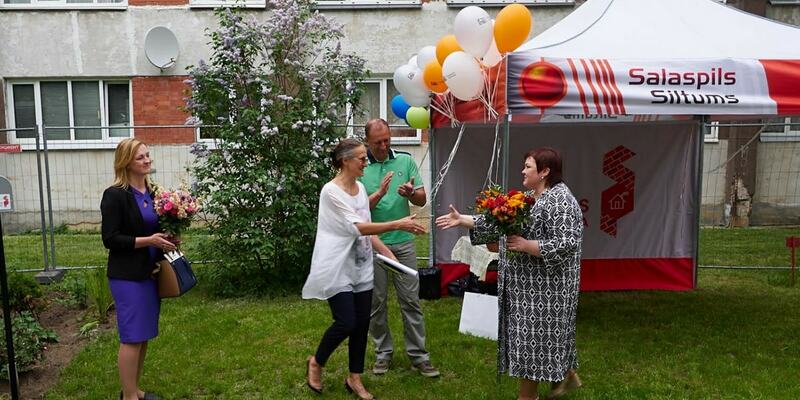 The Salaspils district municipality proved supportive and helpful, financing the project’s development and creating a special department to help people living in similar houses prepare the necessary technical and legal documentation. When Olga saw the pile of papers prepared for this project, she wondered how much time it would have taken without the external support. The development of the project was initiated in 2016, and only seven months later it was completed and ready to launch. Reconstructions will be extensive: repairing and reinforcing the building’s pillars and foundation, “tightening” the exterior of the building with metal bars, and installing a drainage system and a new heating unit to regulate heat supply differently between the north and south facades, thus significantly reducing the consumption of thermal energy. The outer walls of the building, the roof and basement ceiling will be insulated. The windows, glass blocks in the staircases and entrance doors will be replaced. During the renovations, the heating system will be regulated and balanced, the old insulation of the main pipelines will be restored, the ventilation system improved, and in each apartment recuperation equipment will be installed. The renovation works are expected to be finished by the first half of 2019. In a revamped building, the residents expect to save up to 50 per cent of the total heat energy consumptionand forget about expensive emergency repairs. 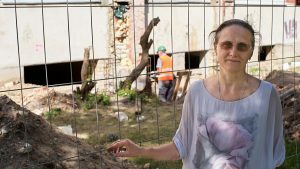 Olga believes that for a long time, residents ignored the red flags that the building was slowly crumbling, passing the responsibility to someone else to do something about its deterioration, but nobody came to the rescue. Thanks to Olga, though, the residents coordinated a collective push and saved their homes, setting a positive precedent for others to follow.